Five outstanding Laureates were honoured for their significant contribution to science at the L’Oréal-UNESCO For Women in Science International Awards Ceremony on 14th March 2019 at UNESCO’s headquarters in Paris. 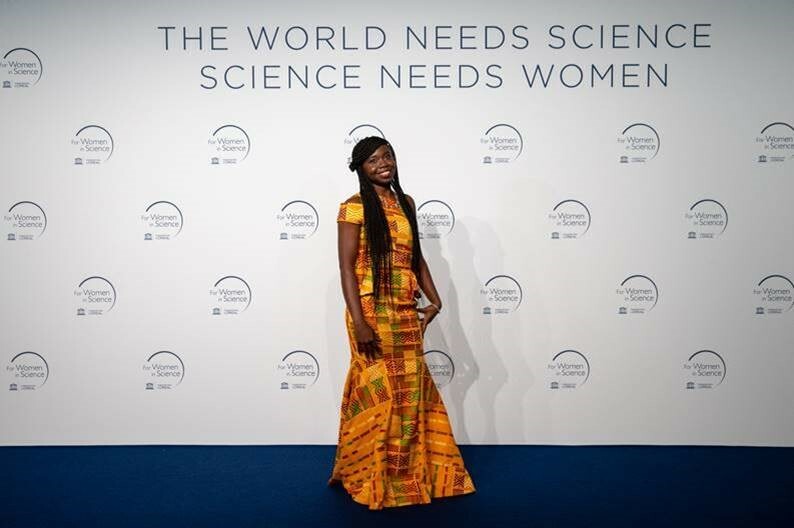 Their achievements were celebrated alongside “15 International Rising Talents” who are promising young women scientists from across the world at an awards ceremony on 14th March 2019 at UNESCO’s headquarters in Paris. Dr Priscilla Kolibea Mante from Kwame Nkrumah University of Science and Technology, Ghana was one of 15 International Rising Talents and the only African award recipient. She is also the first recipient of the L’Oréal-UNESCO For Women in Science International Rising Talent Award from her institution. Specialising in neuropharmacology and neuroscience, Dr. Priscilla Kolibea Mante is researching alternative, plant-based therapeutic options to manage drug-resistant epilepsy and the neglected tropical disease, neurocysticercosis. She is currently exploring the anticonvulsant activity of the plant alkaloid cryptolepine and its solid-lipid nanoparticles in the management of neurocysticercosis-induced epilepsy. By identifying a way to help cryptolepine permeate more efficiently into the central nervous system, the risk of convulsion should be reduced, helping the patient to manage their condition as effectively as possible. “It’s very rewarding to know that my research could significantly alter complicated structures like the brain and positively affect people’s lives,” she says. Dr. Mante believes the biggest challenge for women in science is managing negative perceptions of ambition in women and overcoming gender stereotypes. Having faith in the future, she is convinced that her generation has been fortunate to receive strong support, and believe women can tap into that and spearhead their careers to higher levels.